Midwestern Gothic staffer Henry Milek talked with author Simon Jacobs about his book Palaces, getting lost in the city, book tours, & more. Henry Milek: What’s your connection to the Midwest? 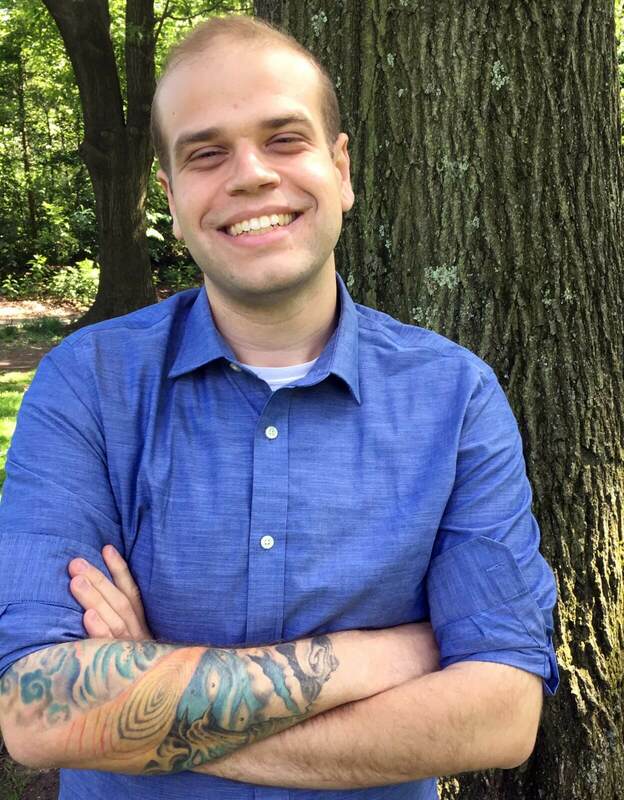 Simon Jacobs: I was born in Dayton, Ohio, where I lived until I went to college in Indiana. When I was 21, I moved to New York. I was molded in the Midwest. HM: To what extent—if at all—would you classify your work as Midwestern? In what ways does your connection to the region distinguish your writing? SJ: I think my work has gotten more Midwestern over time: having some distance from the region for the last six years has allowed me to take a broader lens on it, I think, and to better inhabit its spaces whenever I go back. PALACES ends in New York because that’s where I was when I started writing it, but it reaches back to Indiana and Ohio, which are formative in the novel as they were for me. The novel I just finished, String Follow, is set aggressively in the kind of southern Ohio suburbs where I grew up, but I don’t think I could have written it any earlier: it took those twenty-odd years to seed. I’ve always been a slow, methodical, and deliberate writer – it’s a working style that comes from my mother, who’s a novelist, and from Ohio. HM: Your new book, PALACES, follows two Midwesterners who head out east, much like yourself. How do you feel your origins in the Midwest changed your perception of New York? How did your own experience influence your story? SJ: The narrator has my timetable (Dayton to Indiana to NYC), but that’s about where the direct connections end. I was new to NYC when I started writing PALACES, so I filtered my new experiences of the city through the narrator, especially in a sensory and spatial way. I have a terrible sense of direction, and when I first moved to the city whenever I traveled somewhere new I would carry post-it notes on which I’d written step-by-step directions guiding me there. If I strayed more than a block or two in any direction, I’d get totally lost. I’m sure that this found its way into PALACES. HM: PALACES is your first novel. What was different about writing a full-length novel compared to your previous shorter work? SJ: It took much longer, which gave me more time to be wracked with doubt. The novel began as a set of fragmentary scenes that I knit together over 3 or 4 years, connected by tone, and they gradually became part of a larger framework. I was interested in exploring this tone – the second person perspective describing this insular, conflicted relationship – which I’d been working out for years in my short fiction. With the book, I felt like I’d finally realized its fullest form. HM: Much of PALACES actually takes place in New York, where you portray it to be in a near-apocalyptic state. What was your strategy in crafting the city in such a distinct, original way? What effect do you hope this achieves? SJ: I was trying to present a city that was falling apart in crucial ways, but where it wasn’t always totally clear which ways, because you’re presented it through the eyes of a narrator who’s convinced that everything around him is terrible and loaded with ominous significance. Through that lens, everything becomes a portent. It brings you into the recursive, paranoid headspace that the narrator occupies: the inner becomes the outer. HM: There’s a sort of surreal blanket cast over the entire book—it takes place in the real world, but never quite seems to fit into it. How do you go about writing in this style? Did you ever worry about crossing the line where your work was so absurdly surreal the reader would get lost? How do you balance surrealism with reality just right? SJ: Yeah, this was a very conscious effort as I was writing the book: I wanted to keep the reader tied as closely as possible to John’s insular perspective, so even as the book drifts away from reality I tried to cleave to the narrator’s physical experience and spatial sense, so that even when the action became opaque it was physically immediate, and the narrator remains embodied even as the world changes around him. HM: You recently had a book tour where you performed several public readings of your work. Aside from being part of the traditional ritual of releasing new work, do you think that a book tour is an efficient means of reaching an audience in this day and age? Is it more difficult—or easier, even—for this type of thing to prove successful in the digital age, with digital distribution, social media, and everything else that entails? SJ: I have no idea how successful my tour was in practical terms, but I loved doing it. It was definitely my favorite part of publishing PALACES, even if there were events where I was reading to just a handful of people. Performing is my favorite part of the process – after complete solitude for most of the writing, it’s refreshing to bring it out into the open and see how the work lands on live ears. It gives me an opportunity to interact with the writing in a new way, to find collaborators, or to play off other readers. I would continue to find ways to do it even if it was a terrible business decision. That said, I do think a tour is still an efficient way to reach an audience, especially as a writer who’s published mostly on the internet: when you publish stuff online, you’re not tied to one regional community, and you can build up a lot more of a following that’s not necessarily tied to a book. I was lucky when I did my tour that for most events I was able to partner with local writers in the places that I visited, and most of these writers were folks who I first read online. You’re not writing in a vacuum, and doing a tour like this is a great way to try and engage with literary communities all over the place. HM: Would you say you’re more influenced by your contemporaries, or by writers of the past? Which do you think is more important to read for those who hope to be a writer today? SJ: Well, everything being written now responds in some way to writing that already exists, so truly there is no way of escaping the past. I guess I would say my reading is a pretty evenly split between past and present: PALACES, for example, was influenced as much by Lewis Carroll’s Alice’s Adventures in Wonderland (in its structure, jokes, and obscure rules) as it was by Charles Burns’ Black Hole (in its tone, teens, and totemic objects), and those books are 150 years apart. That said, I never read poetry or short fiction until I read them on the internet, so in many ways, the present can crack open the past: Margaret Killjoy or Ben Kopel could lead you to Ursula LeGuin or Patti Smith. Regardless, if you’re a writer I think the most important single thing you can do is to read as diversely as possible, to steep yourself in as many different perspectives as you can. HM: What’s next for you? SJ: I’m working on the edits for a new short story collection, Masterworks, which is due out from Instar Books in late 2018. I’m also slowly expanding my first book, Saturn, a collection of David Bowie stories that Spork Press first published in 2014, steadily transforming it into something new. Administratively, I’m questing for a home for the novel I mentioned earlier, String Follow, which is about a group of suburban Ohio teenagers who slowly become enthralled by a mysterious and occult force that winds its way through their community. 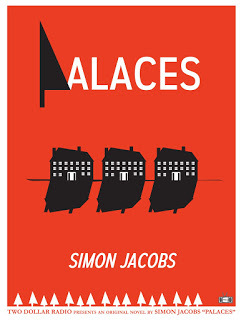 Simon Jacobs is the author of the novel Palaces (Two Dollar Radio, 2018), and of two collections of short fiction: Masterworks (Instar Books, 2018), and Saturn (Spork Press, 2016), a collection of David Bowie stories. He is from Dayton, Ohio, and currently lives in New York City.